UPDATE: After a quick trip to the MinuteClinic, it was confirmed that I have strep throat. Yay… Happy Halloween? As you might have guessed by the title of this post I am not feeling to great. For the past three days my throat has felt like it’s on fire; I’ve been achey and chilled; and I’m pretty sure last night I had a fever. Sorry for the details… Having a sore throat is possibly the worst kind of sickness – you can’t eat, drink, talk or swallow. Tell me, how am I supposed to survive without doing those things? Luckily, I think what I have right now is just an extreme version of a cold as the pain seems to be moving up into my head and sinuses (TMI again?). I figured, while I’m laying in bed doing nothing I might as well write a post for all the other people out there who may be suffering like me. I’ve come up with 10 things that always help me (and hopefully you too!) feel a little bit better. If nothing else, it helps pass the time. 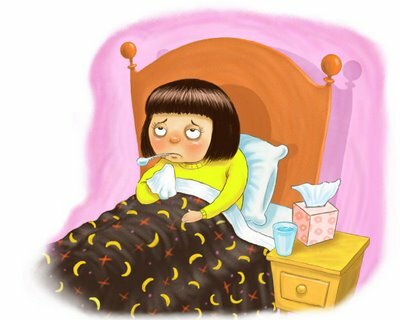 Being sick is lonely, lengthy, and, oh I’ll just say it, sucky. Here’s to getting through seasonal viruses! Watch your favorite movie. Mine happens to be Pride & Prejudice with Keira Knightly and Matthew MacFayden. Drink some hot tea. Even though tea doesn’t cure you, the soothing effects are felt immediately. It’s perfect for a sore throat. Read a book. I never have time to read during the school year so being sick has given me an opportunity to catch up on some reading. This is my HUGE to-read list. Catch up on TV shows. I am so busy during the week that I rarely have time to watch my favorite shows. Sleep! This may seem obvious, or maybe just lazy, but sleep does wonders for your body when you’re sick. Read Wellness Mama. I could get lost on her website for hours. Make soup. Soup is second only to a miracle drug when you’re sick. Here are plenty to choose from. Listen to Jack Johnson. What DOESN’T he cure? Take a warm bath. Nothing soothes achey muscles like warm bathwater. Go all out with candles and relaxing music.